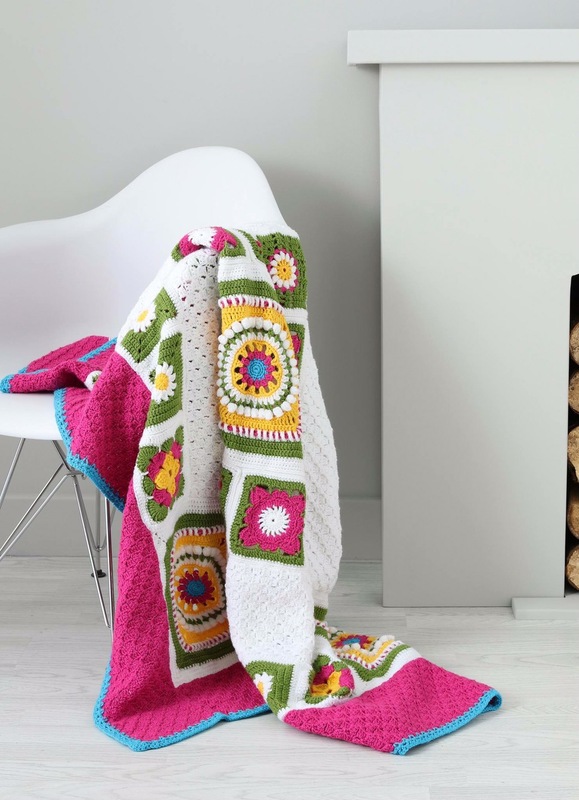 I really enjoyed crocheting this, and it was fairly quick to work up, it’ll look lovely on the sofa by the fire! It’ll be comfy though! 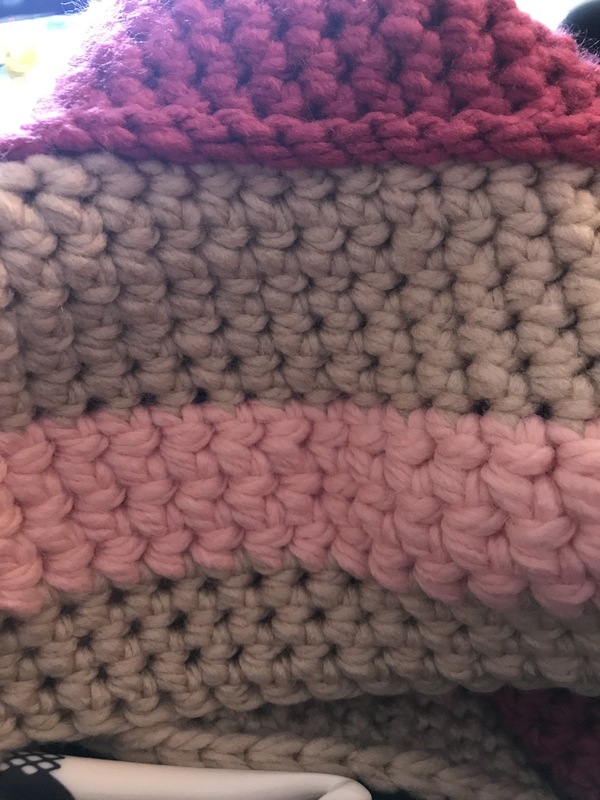 I have used some of hobbycrafts new ‘hug it out’ for the pink centre, now the yarn is thick, really thick and nice to crochet with. 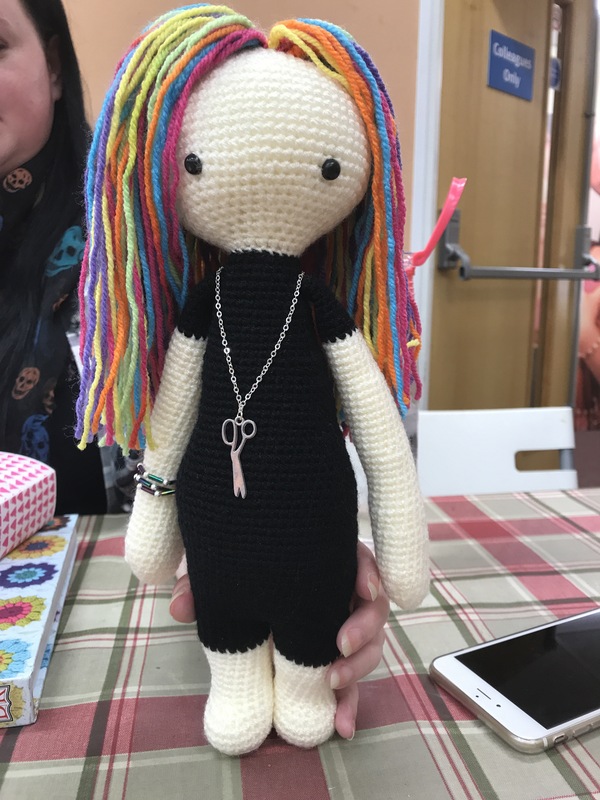 @lyndascraftroom has been busy with lalylala isn’t he gorgeous!!! She’s called him Sassoon as he looks like a rather camp hair stylist! 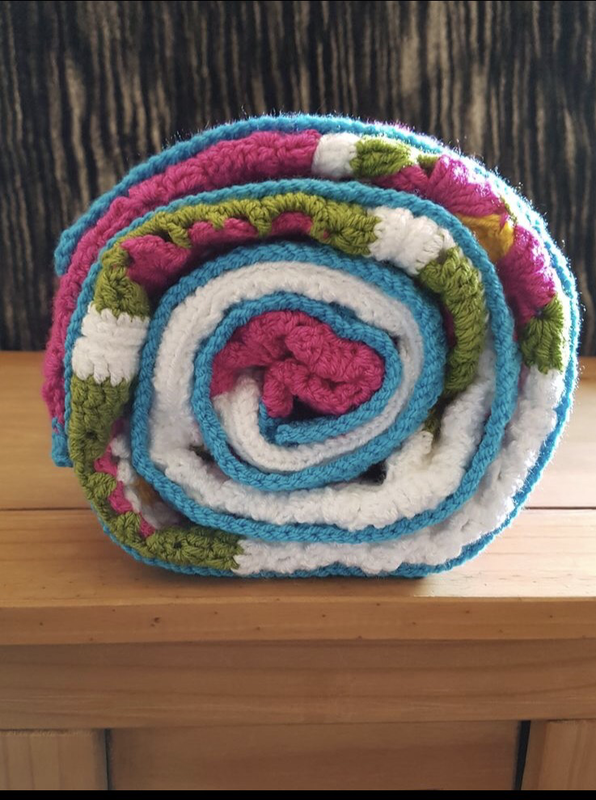 I’m not sure she has had much of a chance for anything else as our knitcraft CAL was announced on Tuesday, earlier than we had been expecting, so @lyndascraftroom has been glued to the laptop answering questions and accepting people to the group. We’ve also roped in my daughter who’s been making Pom Pom wreaths and rugs for us! For the sanctuary, whilst the room is beautiful we need to adorn it with yarn and crocheted items. So yes a very busy week! 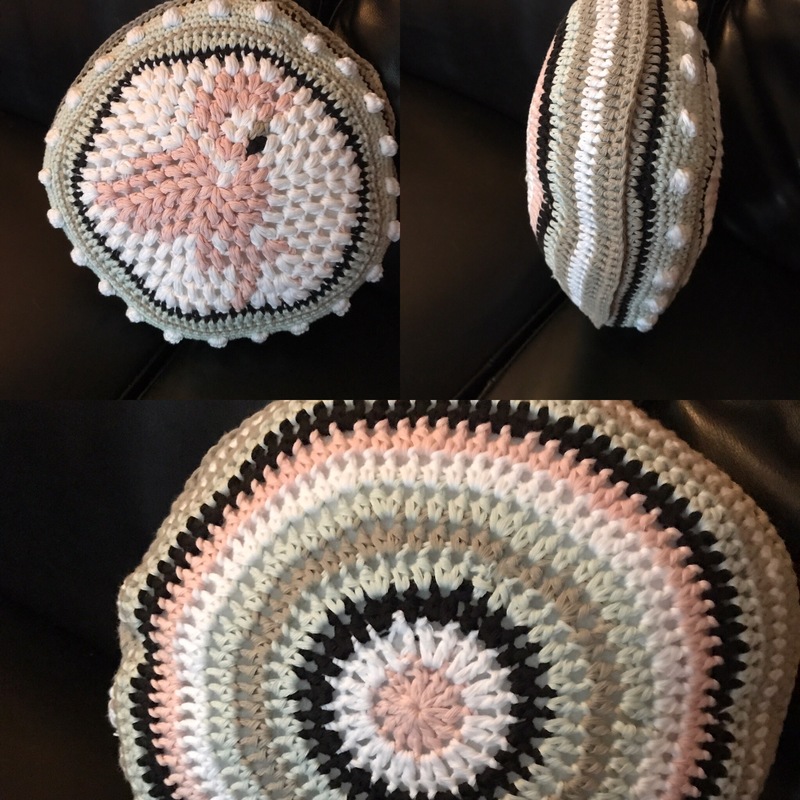 Launching the Crochet Sanctuary and a CAL all in one week! 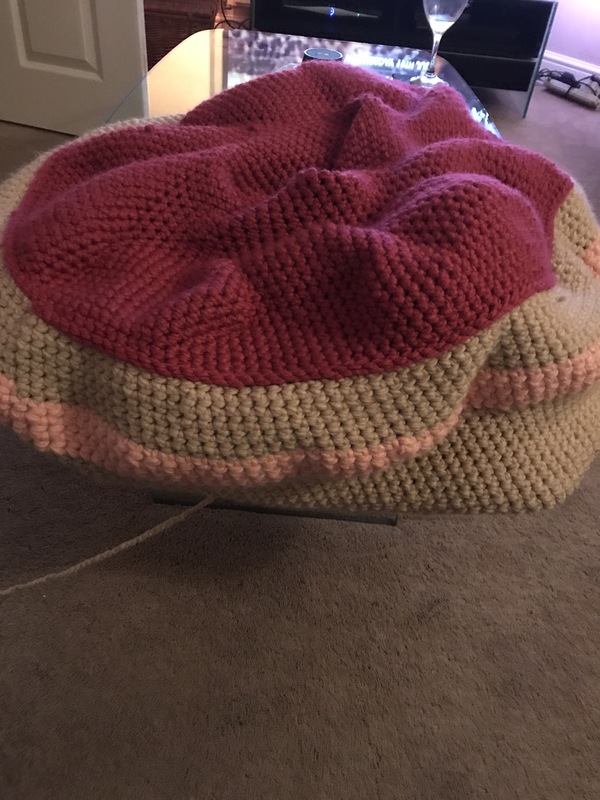 Once my doughnut is finished I’ll be working on @coastalcrochet crocheted log camp fire, check it out, she’s relaeased the free pattern on her blog, I’ll be using it incase it’s too warm to have the fire on at the sanctuary! Ohh wow.. All those beautiful projects. How fun! Thanks tami! Not my design it was from a magazine, however I believe the pattern is on a blog free somewhere!